Facebook users can now see whether their data may have been obtained by political data firm Cambridge Analytica. "We have banned the app 'This is Your Digital Life," which one of your friends used Facebook to log into. We did this because the app may have misused some of your Facebook information by sharing it with a company called Cambridge Analytica," a pop-up notification for affected accounts says. "In most cases, the information was limited to public profile, Page likes, birthday, and current city," it continues. A link at the bottom of the notification directs users to a Help Center page that describes how their data may have been misused. The roll out of the notification will happen over time, but users can now check to see if they were affected via a dedicated link. 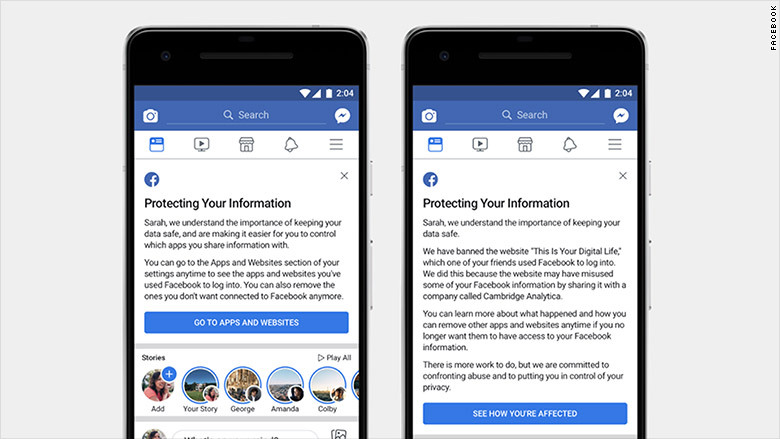 Facebook said users who were not affected may see a different pop-up alert highlighting which apps are connected to their Facebook accounts and what data those third parties can see. The link directs users to a tool that allows them to disconnect apps from accounts. The company shared a preview of what the messages look like, but said the language may be tweaked during the roll out. A preview of the messages users could see. 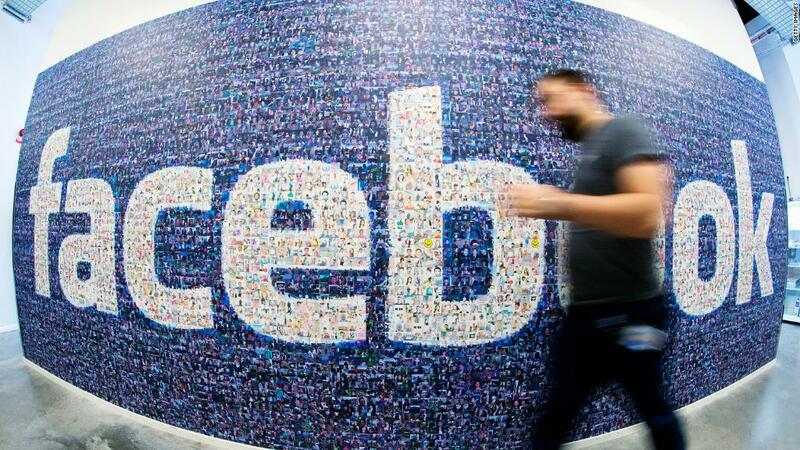 Facebook has also said it will review thousands of apps to search for additional abuse. CNNMoney's Jackie Wattles contributed to this report.